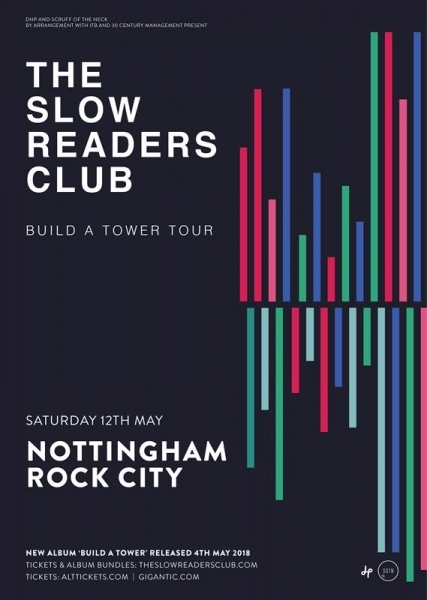 The Slow Readers Club performing their Build A Tower Tour at Rock City Nottingham on Saturday 12th May 2018. 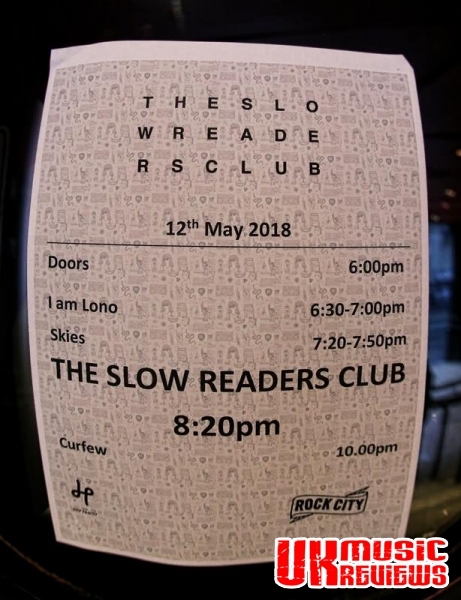 The Slow Readers Club are self made musicians from Manchester who for nearly a decade worked very hard to build up a cult following, and judging from the crowd at Rock City last night, this is a band who may finally be going places. 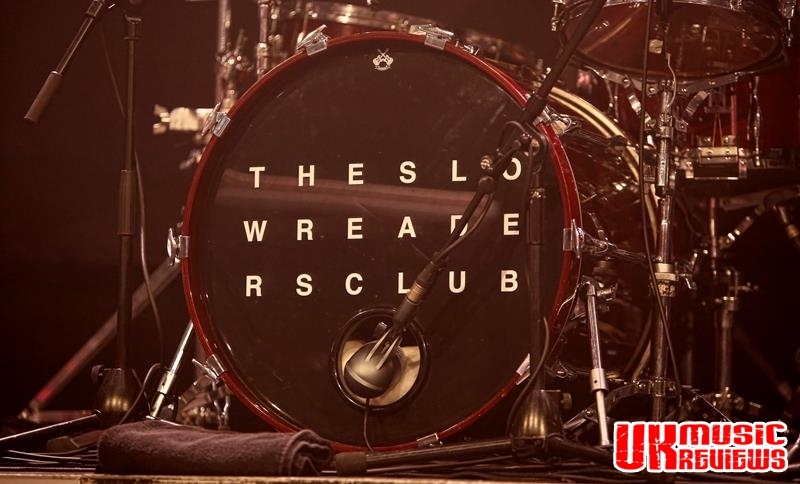 With the current line up formed in 2013, they have nurtured support and experimented with their sound to the extent that tracks from their fourth and latest studio album, Build A Tower were really well received. 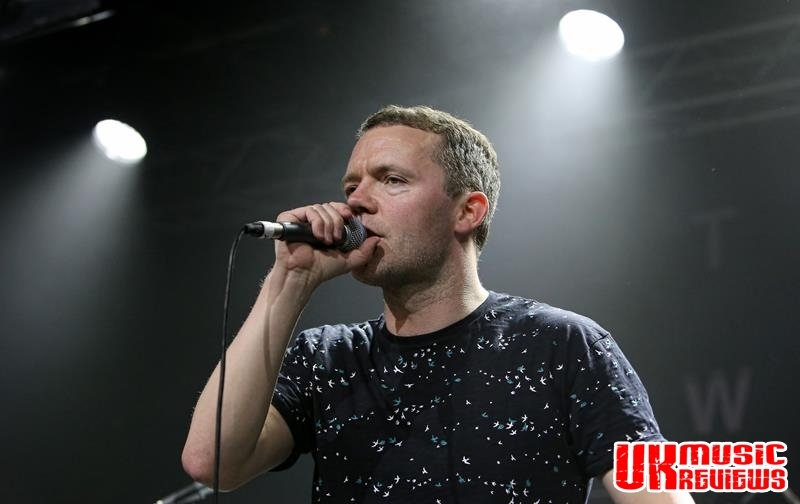 The Slow Readers Club appeared on stage with front man Aaron Starkie and bassist Jim Ryan pacing on the spot to their addictive beats as they opened with new song Lunatic which had the crowd chanting along. 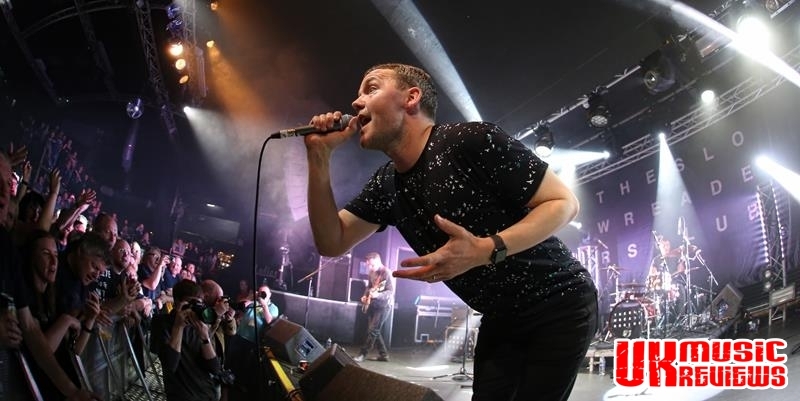 Next was another newbie, the funky Supernatural, and when the unmistakable intro to their debut single Sirens rang around Rock City, Aaron’s soaring vocals were relayed right back at him. 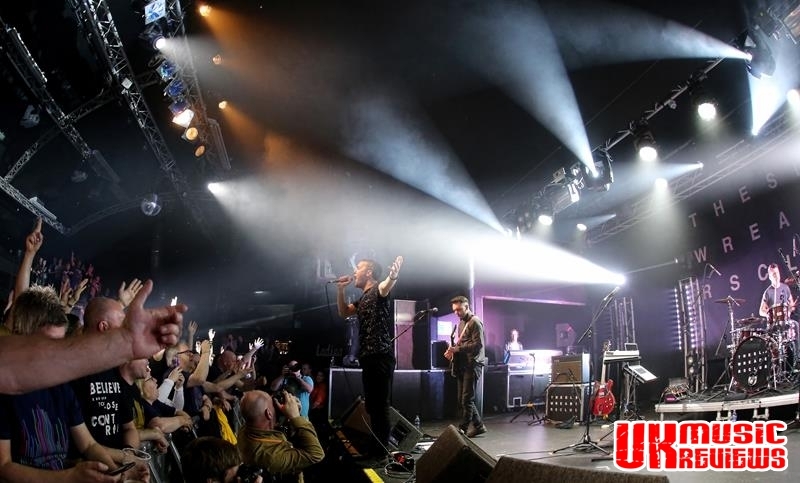 There was the captivating Start Again which saw him stand centre stage with his hands poised like a ticking clock as the relentless rhythms provided by David Whitworth’s never failing drums led the song which was thickened with Kurtis Starkie’s shimmering guitar and Ryan’s bass. Lives Never Known had got the lot; synths, heavy guitar, powerhouse drumming and great lyrics, and this very tight and talented band slowed things right down for Through The Shadows with its haunting intro. 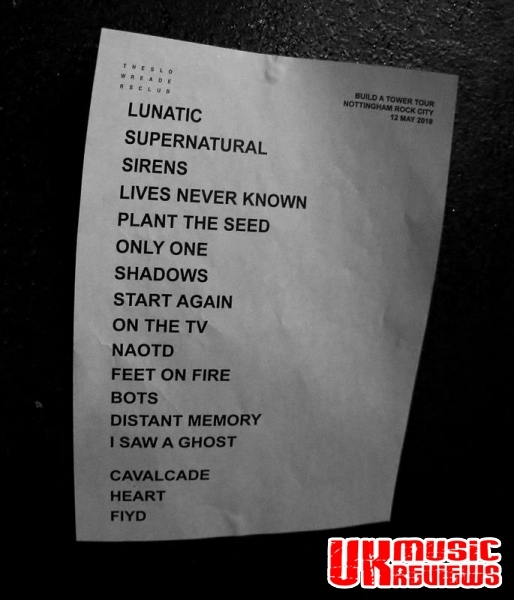 Reverting back to the old for Plant The Seed which served to remind the crowd of their ever impressive back catalogue, as did Feet On Fire which exploded into life and saw the audience stomp their way through the song. 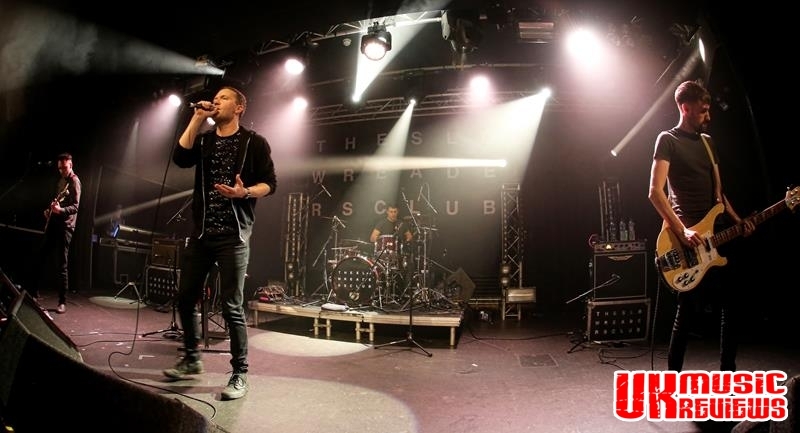 With Aaron’s killer voice which ranged from a deep bass baritone to a falsetto Chris Martin would be proud of, they turned out track after track of their satisfying beats and accessible yet interesting vocals, edging from the anthemic to the ethereal. Block Out The Sun was delivered beautifully as I Saw A Ghost closed the main set. 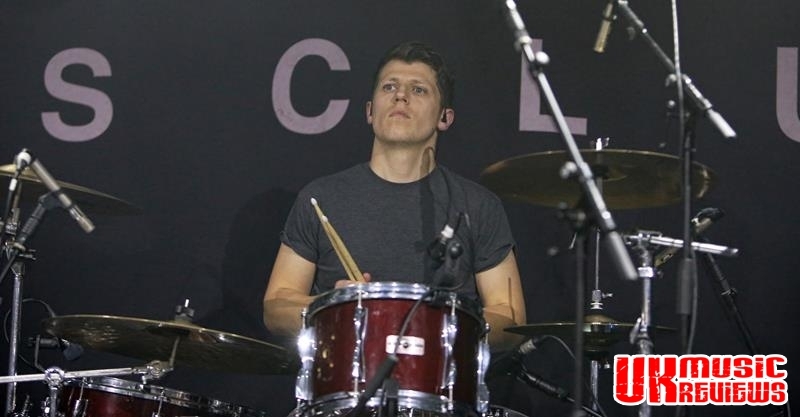 Aaron, a charismatic but endearingly modest man, who unbelievably still has a day job locally as a graphic designer, led the much demanded encore with fans favourite Cavalcade, new song You Opened Up My Heart before they fittingly finished with Forever In Your Debt. 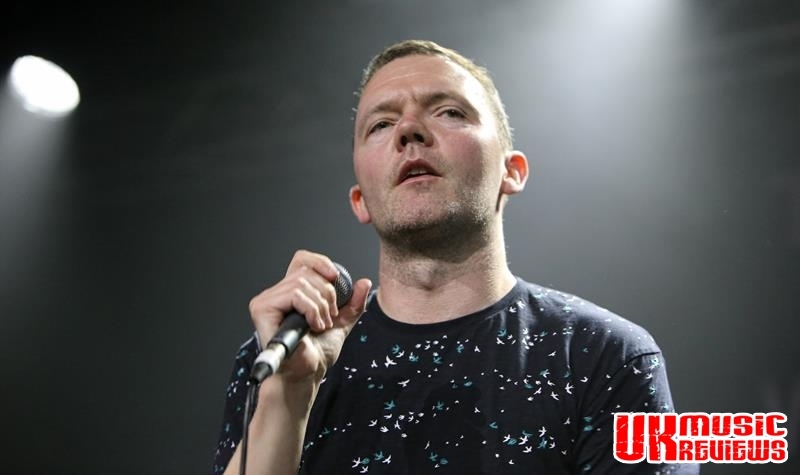 With The Slow Readers Club making their way on to a lot of radars recently, and with their venues getting bigger on each tour, they are a band to definitely watch out for. Just ask their Rock City faithful.